Few know it, but Florida law has a very ancient history. Although only admitted to the Union in 1845, the young new State of Florida derived the bulk of its legal principles from England and English law is very old indeed. To this day, legal principles nearly a thousand years old remain a part of Florida law. This happened in an interesting way that reflected the patriotic fervor of the Territory's early residents. Among the first acts of the Florida Legislative Council was adoption of the "Common Law" as it existed in England on July 4, 1776 (the date of American Independence). Floridians could have adopted the Common Law as of the date the United States acquired Florida, but instead the State's lawmakers insisted on using the original Independence Day. Because English Common Law dates roughly to around 1000 A.D., this means present-day Florida law has been a millennium in the making. Florida law, in a real sense, is far and away older than the State itself. The lengthy history underlying Florida law is reflected nowhere better than in the Florida Supreme Court library. There, in its collection of books, the library houses judges' decisions going back to the earliest days of English law. And these ancient cases still continue to be a part of the Common Law of Florida though many of these cases have been overruled by the Constitution or other more modern laws. For example, some of the library's rare books (housed in a locked glass case) include one decision made in the year 1616 against a woman named Mary Smith. What was her crime? Witchcraft. Poor Mary Smith was described by the English Court as a "hagge" who had become envious of her neighbors. Smith and her neighbors, it seems, competed against each other as cheese merchants. And their competition led to some supernatural hanky-panky. According to the written decision, Smith had openly cursed her competitors and all then had fallen ill. She even had used a large cat, said the judge, which was placed on one victim's stomach and bewitched the victim with weakness and unusual weight loss. It seems Smith even used a "birchin broome" to attack and curse one of her victims. Smith's accusers all agreed that she had entered into a compact with the "Devell," in which she renounced God and was given these supernatural powers. What became of the old "hagge" Smith? In that day, convicted witches were hanged the same day they were found guilty, and that is exactly what happened to Smith. The written decision even states that Smith confessed her crimes at the gallows shortly before her execution, which made the author hopeful her ghost would rest in peace. Or could it be that the author was worried the ghost of Mary Smith might come back to haunt him? We don't know the answer. On that question, history is silent. It is worth noting that today's Florida law does not make witchcraft a crime. We're lucky, because the Mary Smith case shows you could be tried for witchcraft whenever you cursed at someone who then became ill.
Perhaps the oldest reported opinion in the library's collection is in a leather-bound book titled Cobbett's Complete Collection of State Trials. The case is entitled Proceedings Against Thomas Becket, Archbishop of Canterbury, for High Treason. The year? Anno Domini 1163, more than 800 years ago. Many people today may remember the story of Thomas Becket, which has been the subject of plays such as Murder in the Cathedral. Becket also has been canonized by the Catholic Church as St.Thomas Becket. And it is interesting to note that Becket's trial for treason against King Henry II actually constitutes a part of the Common Law imported into Florida -- a case more than 830 years old. It also is among the earliest cases dealing with the question of the separation of Church and State -- an issue still very much alive today in controversial issues such as prayer in schools. English Common Law is presently one of the major systems of law in the world. The ever-adventuring English took the Common Law with them wherever they established colonies around the globe. As a result, the legal system developed by the English now flavors the law of many foreign nations, not merely that of Florida. The Common Law is a distinctive legal system. It differs a great deal from the other major system of law developed in the European continental nations and later imported to their colonies. This other system is called Civil Law, and it rests ultimately on the highly detailed "codified" or written laws of the Roman Empire. Unlike the Civil Law system, Common Law reflects the Anglo-Saxon peoples' intense and unique preoccupation with custom and precedent. The early Anglo-Saxons seldom relied on written laws, in part because the people -- and even their kings and queens -- often could not read or write. As a result, Anglo-Saxon law tended to be developed case by case. And each important new case was thought to establish "precedent" that would be followed in the future. This case-by-case approach resulted in many unique characteristics of the Common Law system, which are still apparent today in Florida. For one thing, the rulings of judges and not the acts of the English Parliament were the main way new laws were created for many centuries. In fact, for the bulk of English history, Parliament existed mainly to raise taxes requested by the Crown, not to make laws. This unusual emphasis on "judge-made law" resulted in another unique feature of the Common Law system. Because large numbers of judges in farflung places were creating the bulk of the laws, the English kings and queens had a very difficult time shaping the way new laws were developed. And so, at a very early stage of English history, judges came to be regarded as being more or less independent of both the Crown and Parliament. This feature of English law directly resulted in the concept of judges being an independent branch of government. In other words, the English Common Law system helped lay the foundation for the concept of a separation of powers, which is embodied in both the United States and Florida Constitutions. Although many people do not know this fact, both England and its Common Law offspring did not rely heavily on law created by legislatures until around the start of the Twentieth Century. In England, Parliament only gradually assumed the role as the primary creator of laws. And in the United States, Congress took an even more limited role as lawmaker. Many states, including Florida, operated much the same way. The first volumes of Florida "statute" law were minuscule in comparison with today's five-volume collection of the Florida Statutes. Until well into this century, the bulk of Florida law consisted of the English Common Law and the precedents created case by case by Florida Courts. Moreover, the Supreme Court of Florida was the final authority -- as it remains today -- on the meaning of the Florida Common Law. 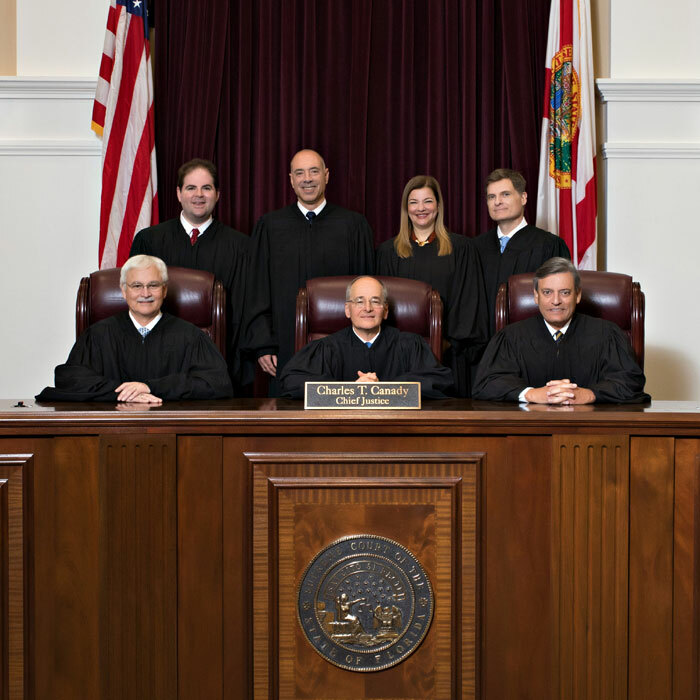 This meant that the most authoritative statements of Florida Common Law were embodied in the opinions of the Supreme Court of Florida. While England was the greatest influence on Florida law, it was not the only nation that had an impact. The second greatest influence in shaping the State's legal history undoubtedly was the Spanish Empire, in which Florida once was a colony. In fact, the United States did not acquire Florida until the early 1800s, when Spain entered into a treaty "ceding" Florida to the United States. Before that time, Florida law essentially was a colonial version of Spanish law, and the latter rested on the Civil Law system Spain had inherited from ancient Rome. When the United States acquired Florida, it imported the Common Law system of England, but did not entirely eliminate Spanish law. The impact of Spanish law was a direct result of actions by the federal government. When a federal military officer and future President named Andrew Jackson took possession of Florida from Spain and became the State's first territorial Governor, he did so under detailed conditions. The treaty with Spain said that the United States and Florida were required to honor legal rights that had been created under the earlier Spanish law. For many years in the State's early history, lawsuits often hinged on an interpretation of Spanish law. This occurred most commonly in disputes over land that had been obtained when Spanish law was in effect. Under the treaty with Spain, the owner was entitled to all the rights that would have existed if Spain still held Florida -- which often led to legal problems. Problems frequently arose because the Crown of Spain sometimes conferred rights over land that would not have existed under United States or Florida law. For example, the Crown sometimes granted title to land lying underwater, which could be quite profitable if that land happened to be a major port. Florida, however, has long followed a policy that the State itself owns all underwater lands except those obtained from the Spanish Crown. To underscore the importance of Spanish law, the Supreme Court Law library has a collection of rare old books on Spanish law. Some are written in Spanish, and a few are hundreds of years old. The oldest of all the books is a collection of Spanish laws printed in 1597, which is kept in the library's glass case. They are part of the Court's original book collection, which dates from Florida's earliest days. The library is the oldest law library and the oldest continuously operating government-owned library in Florida. Florida law also has been shaped by the interaction of many other influences. During the 1700s, the State was governed by three separate European powers: England, Spain, and France. In the 1800s, Florida gained statehood, then seceded to join the ill-fated Confederacy. The State literally has paid allegiance to five different flags. No better example of this interaction can be found than the history behind the present state capital. When Andrew Jackson took possession of Florida, he found two separate colonies: East Florida, governed from St. Augustine; and West Florida, governed from Pensacola. Territorial authorities later decided that the two should be combined and a single new capital should be founded. To select a location, a party moved east from Pensacola, and another west from St. Augustine. They met in the middle near an old Spanish mission and a small Indian village whose name has come down to us today as Tallahassee. To symbolically honor the two earlier capitals, the new capitol building was placed between streets named after Pensacola and St. Augustine. Thus, Tallahassee literally is an American "melting pot" that blended together everything that went before. Florida law continues to evolve to the present day. Many people hear news accounts talking about new "precedents" issued by a court. What this means is simply that a court has issued an opinion that establishes a new legal principle. These newly created precedents are a very important part of Florida law. They fill in "gaps" or uncertainties in the law. As a result, cases issued by the Florida Supreme Court perform a vital function in making sure that law works fairly for all people. Imagine what would happen if, each time a new issue was brought to court, everyone had to wait for the Legislature to take action. Opinions of the Florida Supreme Court are published in an official set of books called Southern Reporter. These books are part of the West Publishing Company's national system for reporting cases throughout the United States. A nearly complete set of cases from every American state is located on the main floor of the Supreme Court library. However, the complete cases from every state are located elsewhere in the library's collection.